Thank you for your comments Patty. This model does not assume 8 hours of productivity. 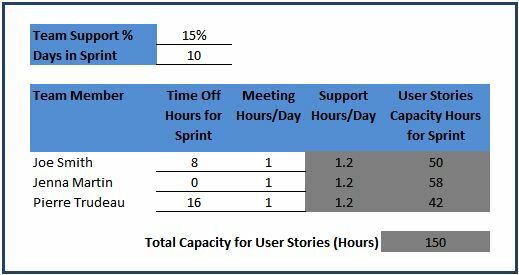 The “Meetings” column in the capacity calculation can also be labeled “Interruptions” and these hours are deducted from the team’s capacity to work on sprint backlog items. Meetings/interruptions could include daily standups, backlog grooming, company meetings, 1-on-1’s with managers, etc. Similarly, an additional column (not depicted above) can factor in each person’s productivity. This can be userful when someone new joins the team and is incurring learning curve. Capacity-based planning and velocity-based planning can work in concert. Capacity can factor in fluctuations in team size and availability using hours as a transparent measure. Velocity-based planning should factor in historical team performance as you indicated in your comments. The two can also be used as a sanity check against each other to make sure that task estimates and story points line up. 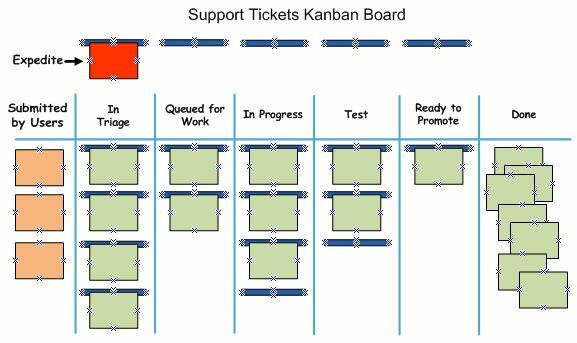 If the team has finished sprint planning based on hours of capacity and the total story points for the stories in the sprint plan is out of line with historical velocity it could indicate a number of problems with how the team is estimating or sizing stories.